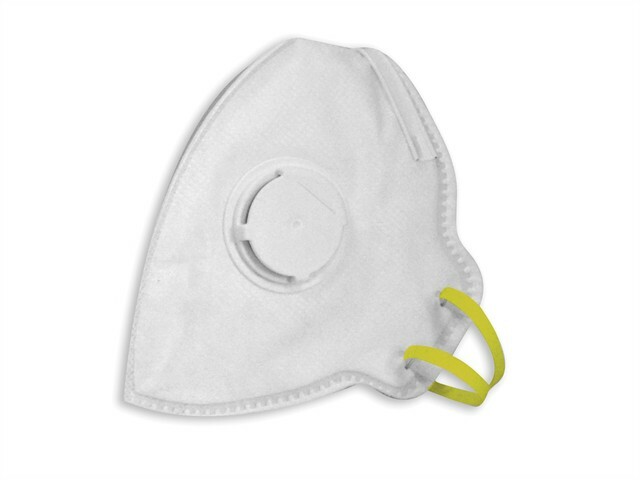 The Vitrex Premium Valved Fold Flat Sanding & Insulation Mask protects lungs against fine non-toxic particles. It is pocket-sized for easy and hygienic storage. The breathe-easy valve offers extra comfort when exerting greater physical effort/body movement. The mask is ideal for working in confined positions (i.e when crouching or bending). Elasticated straps and adjustable nose-clip allow optimal fitting and comfort. The nose clip is colour coded for simple identification.